Congratulations to Kenny Swanson in grade 5! 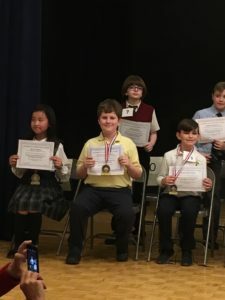 Yesterday he competed in the regional Math Bee and has qualified to be in the Diocesan Bee. This is quite an accomplishment and we wish him good luck, we are very proud of you!